I’m a Dad of the best kids in the world. I’m so blessed to have the best wife in the world. Also, I work a job that I love. Aaaand, I am bipolar. Or is it that I have bipolar. Or is it that I am inflicted by the bipolar beast. Or is it that I’m just plain crazy. I’ve always been bewildered by the language of the diagnosis here, so I guess I will just say that I am bipolar and find peace with the potential ambiguity that statement holds. I’ve always struggled with my mood. This has been a lifelong thing, that only got diagnosed in my late 20’s. Once the diagnosis was made, I struggled with accepting the label of ‘being bipolar’ but as I read more and more about it, my life made more sense through that lens. I choose happiness as much as I can. I choose to look at the world with wonder as much as I can. I choose to find peace as much as I can. But as much as I try to do all of those things, I sometimes cannot muster the will to overcome my moods. I was diagnosed with many things but eventually the diagnosis of Bipolar II stuck – it made so much sense that I’m surprised it took so long to get to this conclusion. It’s very important to note the difference between Bipolar I and II. Bipolar I is what most people think of when they think of ‘manic-depressive’ people. BPI people have super high manic episodes and crashes into depression. BPII people have incredibly dangerous low mood states and generally only hypomanic mood swings on the high end. These are text book definitions and since people don’t always fit text book definitions this isn’t always this black and white. Regardless, I will write in this blog my thoughts on all of these things and reveal some of my experiences and thoughts on all of this and more. I’ve struggled with many things: Work and my career people’s perceptions of me, issues of parenting, trying to care for myself while caring and providing for my family, and much more. I’m hoping that this blog (along with treatment) can help me and others to deal with this situation. I’m looking forward to clearing my mind and to perhaps hearing from some great voices out there in the interwebs. Nice intro. I think it’s great how you say.. I think that’s a wonderful brave choice. I happen to have bipolar disorder too, diagnosed when I was 15 (of the Bipolar 1 variety), and making choices like those you describe make life really worthwhile sometimes. All the best for the new year, will try to follow your blog as I plod along the path of life. The first lines of your About say a lot. I bet you’re a gread dad, bipolor notwithstanding! Also, I never quite got the difference between I and II before. I was diagnosed with Bipolar I, but had a doctor who kept me on a certain drug for years and considered any time I was happily able to achieve on a level with “normal” people as “hypomania.” Though I was finally taken off that drug by another doctor, I believe I can now identify a little with Bipolar II – I think. Thank you for your helpful and positive outlook. When I first read your name I had something different in mind (I thought you were a woman/mom who loved being a little bipolar to her dad.. whatever that may mean.. makes no sense at all.. my stupid mind 😦 ) Your about me page makes much more sense! Very brave of you to share! You are wonderful – thanks for the smile! I’m somewhat new to the blogging world and I have found it to be a very welcoming place, thanks to people like you. Thanks! This is a much larger community than I could have imagined, and I’ve been almost overwhelmed with the great support I see. Hi again! 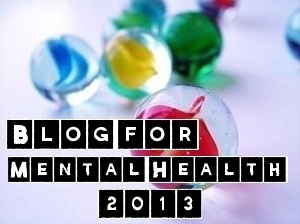 A Canvas Of The Minds has kicked off our Blog For Mental Health 2013 campaign, and I pledged you on my own blog as someone I would really like to have included: Blog For Mental Health 2013 Is Here! In your comment above, you mentioned the support you get from the amazing mental health community there is blogging, and I would really love to be able to add your name to the community we’re trying to get together on our official blogroll. 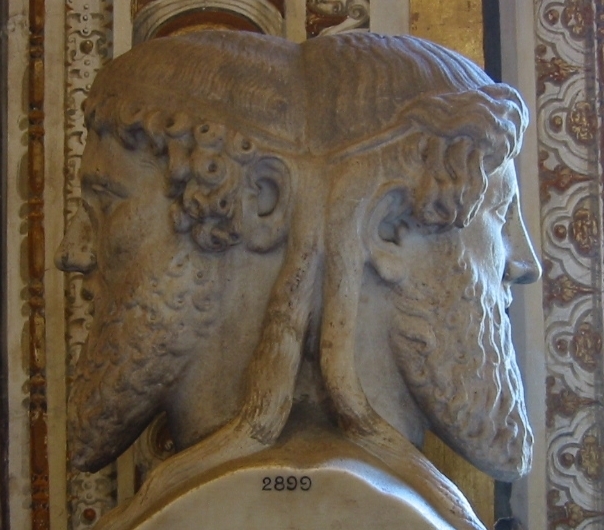 I love that you used the photo of the Janus sculpture. Is your Gravitar image a tattoo? Thanks for liking some of my posts. Please feel free to jump into the comments. I really like it when a conversation gets going. Everybody has such good insights, so don’t be shy about sharing yours! I love comments and commenting! I was thinking about this as a tattoo but it feels over done. I know that shouldn’t necessarily be a deciding factor but it seems to be pushing me away from it. We’ll see. Chalk Janus up to my Aspie obsession with mythology as a child. Tattoos are too permanent for me. My obsessions change slowly but surely, and I like the only reminders of them to be many full bookcases and memories that brighten and fade like the light of a firefly. Thanks for thinking of me! But I’ve already been pledged (that sounds so weird to say). Thanks though!